Check out the features on our brand new, quality built homes. At Ledgecrest Homes, you can be assured that our spec homes are constructed by skilled and experienced builders using high quality materials. 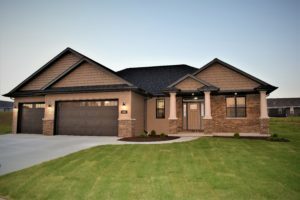 Our spec homes are built to a custom-home standard. Every spec home we build is beautiful, functional and comfortable and far exceeds industry standards in energy efficiency. Each Ledgecrest spec home comes complete with an energy efficient two-stage furnace, Blow in Blanket (Bib) insulation system and a ventilation and moisture mitigation system to maintain the optimal humidity in a home. 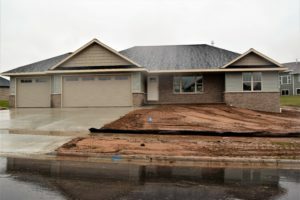 In addition, all homes are built with low maintenance, aluminum-clad exterior doors and two-sided, steel overhead garage doors with foam-injected insulation and silent lift. Ledgecrest constructs several spec homes each year in the Green Bay area. 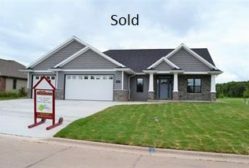 Tour our homes every spring and fall in the Brown County Home Builders Association’s Showcase of Homes, or schedule an appointment for a private walk-through by calling 920-655-1823. We offer flexible hours for appointments, including weekends and evenings. Coming soon in approx. 60-90 days. Call us to schedule a showing! 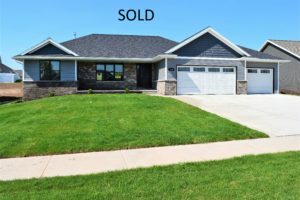 Beautiful new construction 2019 Spring Showcase home located in the highly desired Howard-Suamico school district. Open concept 3 bedroom split ranch on main level. Master suite with double vanity, walk-in tile shower and walk-in closet. Granite countertops throughout. Finished walk out lower level with garage access, bedroom, full bath and wet bar. Fully insulated finished garage with floor drains. Thank you for visiting Ledge Crest Homes. We are here to help in any way. Do not hesitate to contact one of our Ledge Crest Homes team members today and find out how to make your new home dream become a reality! © Copyright 2019 Ledgecrest Homes. All rights reserved.